Chapter History The Lambda Eta Chapter of Delta Mu Delta was established October 30, 2002, at Northcentral University. The chapter quietly and slowly grew over the years, achieving a membership of approximately 300 by 2011. In 2012, the chapter increased membership growth efforts resulting in 47% membership growth. In January 2013 we were a robust chapter of 658 members. Presently, our memberships continue to grow. The Lambda Eta Chapter was one of two Chapters selected for Beta testing of Delta Mu Delta’s new online induction system, which went live in 2012. 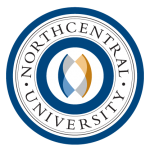 This opportunity matches well with Northcentral University’s approach to online education. In 2013, several new and continued initiatives were underway, with the goal of offering greater networking, communication, benefits and scholarship opportunities to Lambda Eta Chapter members. We continue to add initiatives in order to better grow and promote the mission of Delta Mu Delta. Thank you for visiting our website and for your interest in Delta Mu Delta. Please feel free to contact us with any questions: we’re happy to assist. The honor society’s name, Delta Mu Delta, is comprised of Greek letters. These Greek letters in the Society’s name stand for Dia Matheseos Dynamis (ΔΙΑ ΜΑΘΗΣΕΩΣ ΔΥΝΑΜΙΣ) signifying Delta Mu Delta’s motto: Through Knowledge, Power – the power to manage creatively for social and economic good. Lambda Eta Chapter officers serve one-year terms beginning in January through December of the same year. Learn more about the Chapter Officers.